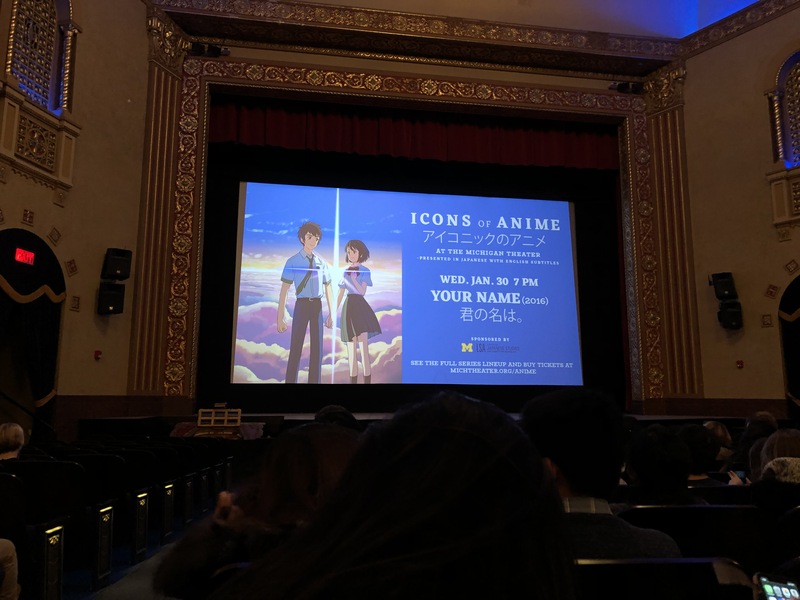 Despite the snow day-provoking frigid air last Wednesday, upwards of 100-150 moviegoers came to the Michigan theater to see Your Name. 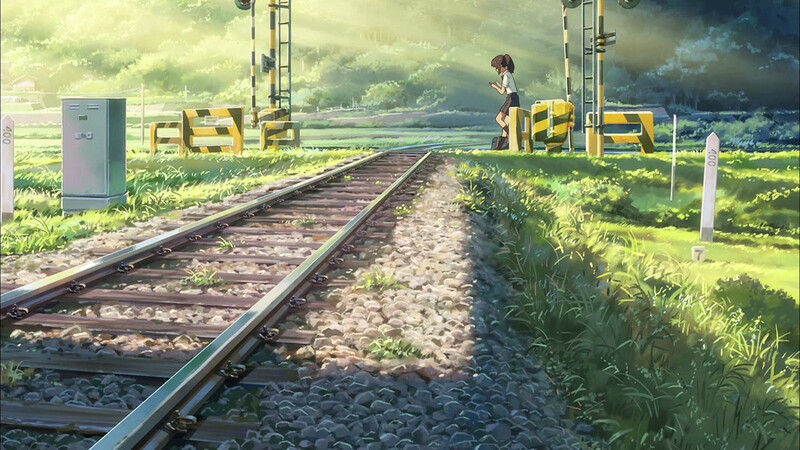 Directed by Makoto Shinkai (known for films like The Garden of Words and Voices of a Distant Star), it is the highest-grossing anime movie of all time. This fact comes as no surprise if you’ve had the privilege to see it, as its unique storyline and beautiful, shining animation style makes it stand out from other animes. 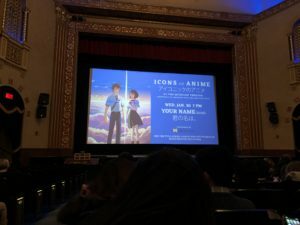 As the movie began, the entire theater let out a collective groan at the English dub that had been mistakenly played (even the movie’s theme was sung in English, unfortunately in a fashion unbelievably similar to a song by The All-American Rejects). The presenter switched the settings to English subtitles and, beyond a slight hiccup where the subtitles were half cut-off, the day was saved, and we all applauded. Mitsuha and Taki are two high school students living in the Japanese countryside and Tokyo, respectively. One day, each inexplicably wakes up in the other’s body, and grow to be quite good friends. It somehow smoothly combines the cute, carefree humor of a rom-com with the deeper emotions of a tragic drama, along with elements of wondrous fantasy. The variety of landscapes in the film is a big part of what makes Your Name such a great success. We’re taken from Mitsuha’s house, surrounded by ancient forest and bathed in golden sunlight, to Taki’s homey apartment in the heart of Tokyo, skyscrapers glittering and city lights glowing warmly. The sky is always amazing, painted with the colors of a sunset, a bright fall day, the steely twilight. The artists never neglect to include the way the sun skips along the clouds or sinks beneath them to the horizon, trailing light. It is the beauty of Mitsuha and Taki’s bond, as well as of their surroundings that makes the reality of their situation so much more tragic. 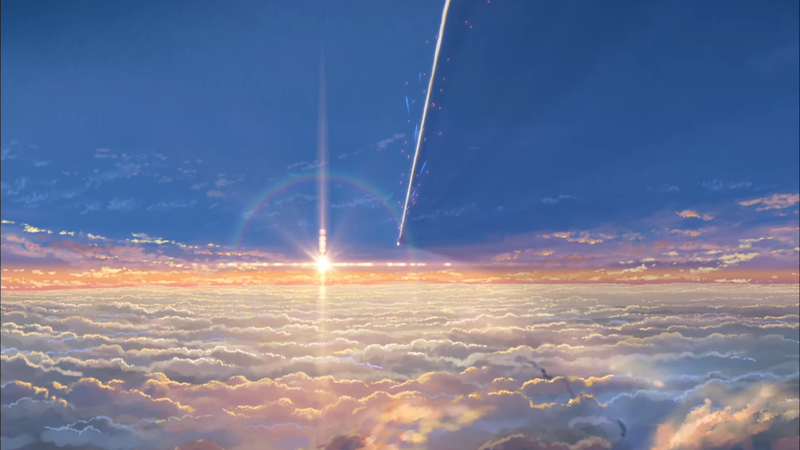 We learn that the two exist in different times; in Taki’s timeline, Mitsuha’s town was destroyed by a divergent meteorite three years prior, while Mitsuha lives in the time right before the strike. They’re star-crossed in an incomprehensibly sad way, yet captured in a dramatic irony that allows for the sweetest, impermanent happiness. This sharp contrast in emotion makes the film especially powerful, beyond that of many other films. Though there is a sense of innocence present, it is expertly corrupted by circumstances so unfortunate and uncontrollable that purity can still remain. As I exited the theater, shuffling my still-frozen feet back toward the cruelly icy outdoors, I was struck by the glow of the end credits on the audiences’ faces, illuminating tears and bubbling conversations between friends as they discussed the movie. How beautiful it was we’d all gathered in this small haven of warmth and light in the middle of a bitingly cold night to watch a good movie together.